All Nendoroid are properties of GSC, that is correct. However, each of them also has its own production team, which are usually written in the official product page under Product Details section. In general, there are (more or less) 4 parties involved in the Nendoroid production workflow: manufacturer, sculptor, releaser, and distributor. Max Factory: Nendoroid from Hayate no Gotoku, WORKING!! ASCII Media Works: Nendoroid from Shakugan no Shana, Toradora! As you can see in the list, each company makes Nendoroid based on which series’ license they are holding. We have already had a brief article about “sculptor” in the past. Well, in essence, he/she is the one who sculpt the master prototype of a Nendoroid. For manufacturers who do not have one, they usually hire GSC’s sculptor to work on the master prototype. Game-bundled and sponsorship-based Nendoroid usually fall into this category as well. This entry was posted in Insight and tagged freeing, good smile company, hobby japan, max factory, nendoroid, phat company. That is some usefull information. Thank You! I do wonder why GSC doesn’t sell Nendo and Figma directly from their website. 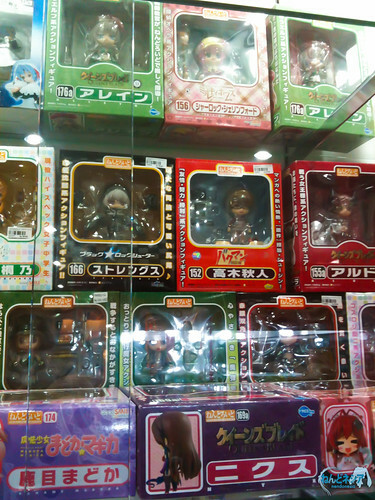 Nendoroids become rare quickly because there are almost no official distributors that sale them in Japan or outside of Japan.